Epsom salt is known as Magnesium Sulfate to the chemists. Despite the name, it has nothing to do with great chef’s cooking secret. It is called a Salt because of its chemical structure. The crystal is pure in nature and has a high solubility. It can be converted into a lotion or usable solution just by mixing it with room temperature water. 1 Let's start about epsom salt bath benefits? Let's start about epsom salt bath benefits? Most common use of Epsom salt is found in medical and agricultural sites. Magnesium is one of the most needed primary components for blood cells, tissues, and bone structure and it has already proven its integrity in medical science. Though Epsom salt is a whole new chemical it shares similar facilities often. While researchers searched for Epsom salt bath benefits the result was overwhelming. 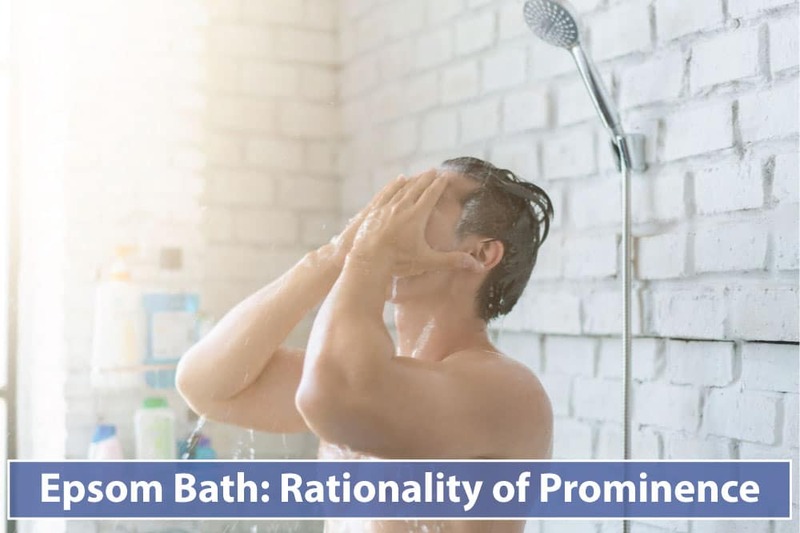 Epsom salt bath uses the fact of soaking the solution into the skin while apprehending some controversy. To take a stress reliever Epsom bath, it’s good to use it in a bathtub. Two cups of Epsom salt should be mixed with the water along with two cups of baking soda. Additional fragrances or users favorite oil can be added with the mixture in order to increase the relaxation. Bathing in Epsom salt along with baking soda increases anti-bacterial component in the skin and makes the skin softer. Being 20 minutes in Epsom solution body soaks up magnesium and Sulfur creates a refreshment of another level. It’s better to taking an Epsom bath with soft music around and relaxing in the bathtub for the time. The stress relieving feature is confirmed by many users and some doctors also suggest it for stress patients. Epsom salt is frequently recommended by physicians to relieve muscle pain and migraine. Human Body lacks magnesium by default. The body cannot produce enough magnesium to cope up with necessity. So we have to take magnesium from food like salt. Magnesium soothes pain and relaxes the nerves for a certain time. But it’s also hard for the component to reach every part of the body. Taking Epsom salt bath helps magnesium to get to the muscles. For pain, it is a little bit tricky. Warm water is needed to take a pain reliever bath. Adding Eucalyptus with the Epsom salt solution may help the sinus pores to open up and help the magnesium and Sulfur getting into the muscles. Doctors suggest Epsom salt bath to the migraine patients often and athletes and professional players take Epsom salt bath every now and then by preference. It really soothes muscles sore fluently making no harm to the liver or stomach. But it’s recommended not to take Epsom salt bath more than 15 minutes for a pain-relieving purpose. Epsom salt in warm water with a mixture of Aloe Vera and olive oil helps nerve pain and also helps increasing reflex and stability. Warm water is alone a very good nerve aid and while added with Epsom salt, it works like a miracle. It gives a rapid relaxation to the nerves and helps to get a free relaxed nerve condition. Military personnel and sports players use Epsom salt bath to get a reflex boost and sharp nerve setting before a game. Doctors sometimes refer Epsom salt bath to nerve injury patients. Epsom salt enters through the skin in reverse osmosis process and the ions add up with nerve and muscle components which helps nerves to get stable and muscles to increase efficiency. Grandmothers often say their grandchildren to get Epsom salt bath before examinations as it helps nerves and can also help children to stay calm and get a better solution in exams and get a better result. Epsom salt bath helps from restraining the muscles as well as the blood vessels. Soaking Epsom salt through bath helps the muscles and blood vessels get relaxed. As warm water helps to decompress the muscles and blood vessels and soaking magnesium into the skin helps giving it stability. So it controls excessive blood pressure and heartaches. It also increases the magnesium count in the blood and helps from causing Hypo-magnesium. Hypo-magnesium is magnesium deficiency in the blood. It happens when a very little magnesium is taken with diet, or in cases of having bowel or stomach problems while the taken magnesium is not processed properly. It also happens when alcohol or drugs are taken, or the consumer has a renal problem. Hypo-magnesium decreases muscle stability, reflexes, decision-making ability, and blood perambulation. 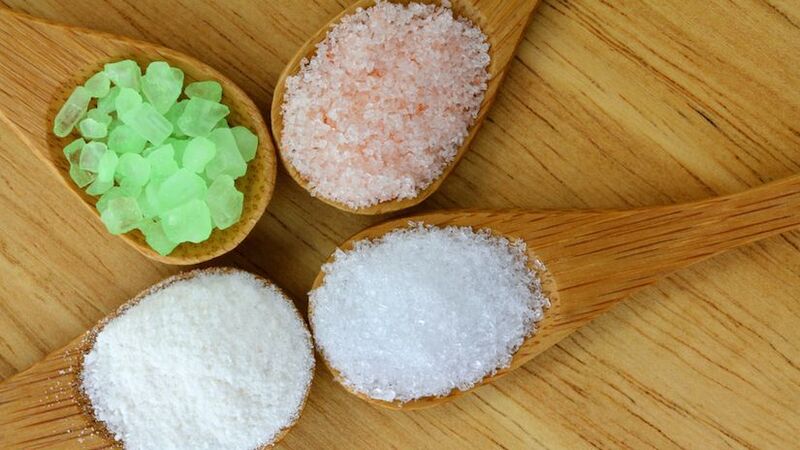 In order to take Epsom salt shower as a blood problem solution, 3 cups of Epsom salt should be mixed with warm water along with mint or lavender. Insulin is the most needed component against diabetes. Insulin terminates the excessive sugar in the blood and helps the blood to stay from sugar. Nowadays many people face diabetes in their life just because their body cannot produce enough insulin. Epsom salt when taken with bath, enter the body by soaking it and connects with the blood and muscles as magnesium ion. Magnesium helps insulin terminating sugar easily and helps them to turn into glucose easily. It’s not like only diabetes patients can be helped through it, anyone can get the benefit from the Epsom salt to boost up insulin. Sometimes when it is not possible to take a bath in Epsom salt, doctors suggest spending 20 minutes by standing on a bowl full of Epsom salt solution. Adding two and a half cups of Epsom salt in a regular size bathtub is fine for having an insulin booster bath. It’s suggested to take a bath of 12 to 20 minutes. Constipation is a very irritating problem while occurs. Constipation is an accumulation of hard stool, tough bowel movement, a feeling that bowel isn’t emptied after a bowel movement, a need for manual removal of stools, nausea, abdominal pain etcetera altogether. Constipation occurs when there is a low fiber in the diet plan, no exercise or physical movement, dehydration or even because of stress. Epsom salt bath can reprieve from constipation as it enters the bowel and increases the water count in the bowel area and makes the stool softer and easier to pass. American food and drug administration approved Epsom salt as a remedy of constipation. As well as Epsom salt bath, Epsom salt can be taken orally to for constipation. 2/3 tablespoon Epsom salt needs to be mixed in a glass of water. Epsom salt is not recommended for children below 6 years old. If it is hard to tolerate the taste of Epsom salt, lemon or other additive flavors can be added with the solution. Our whole body is a chemical factory and every second there is 37 thousand billion reaction per second. Some of the extra toxins that are created from these reactions cannot be extracted by urination or sweating. So they take place in our body for good and by the time they deal damage to our cells. Removing the toxins is the most popular use of Epsom salt bath. Soaking the solution literally goes into the body and tells the toxins to get out. When bathing in Epsom solution it creates a reverse osmosis process and the magnesium sulfate gets in and the toxins get out. Researchers suggest not to take bath more than 20 minutes as there is a chance of getting the toxins in again. Detoxification bath can also be taken in the shower. To use it on the shower, make a condensed solution of Epsom salt and apply it over full body. Wait for a while and rinse it off with a shower. It is really a great relaxing way of getting rid of body toxins. Athlete’s foot is a common skin problem. Soaking feet in an Epsom salt solution can help get rid of athlete’s foot syndrome. Soaking affected skin area from where the splinters are to be removed, helps the splinters drawing outwards. Toenail fungus is really irritating and hard to get rid of. To remove toenail fungus a handful of Epsom salt is needed to be mixed in a bowl and soaking the affected area will do the rest. Reducing swelling sprains and pains works great with an Epsom salt bath for 20 minutes. 30 minutes of soaking in the affected area with just 3/4 teaspoon of Epsom salt helps with gout or joint pain. A complete bath is not necessary this time and it works better if done 3/4 times a day. Dead skins are beauty demolisher. Using Epsom solution with olive oil after a bath can exfoliate and soften skins. Rinsing thoroughly helps to remove dead skins. Many people face the problem of foot odor while wearing shoes and socks for a long time and the odor is really hard to get rid of. Soaking and washing foot in Epsom salt solution helps to remove the odor easily. To increase hair volume, Epsom salt needs to be mixed up with warmed hair conditioner and applied on hair for 20 minutes a day. No solution should be left on hair after cleaning. As Epsom salt bath relaxes muscles and relieves stress, it makes it easier to sleep for the insomniacs. Epsom salt bath also helps the patient with itchy skin or people with skin rashes. Though there is a controversy about the working procedure of Epsom salt, at least no disadvantages are found. And warm water alone helps muscles to get relaxed and much more. So, where’s the problem to give it a try?